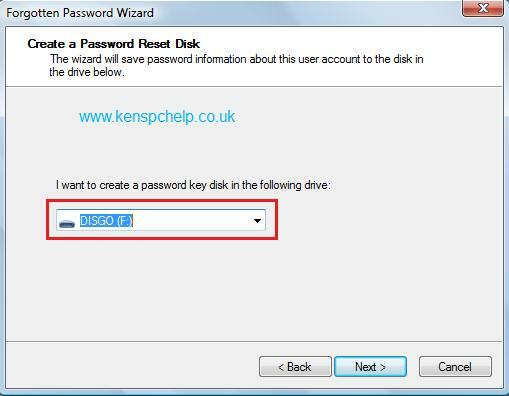 In this article I am going to show how to create a Password Reset Disk for Windows 7 and Windows Vista. If you are using a login password to access your computer how disastrous would it be if you forgot it ? No access to your files, folders or data. The simple “solution” to this is to be prepared for the unlikely event. Do this now – and don’t wait until you get locked out. 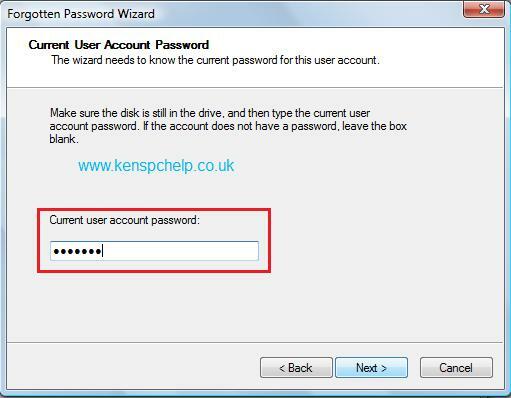 You need to be aware that if anybody gets hold of your memory stick they will be able to reset the password too. You will need to type in your present password. 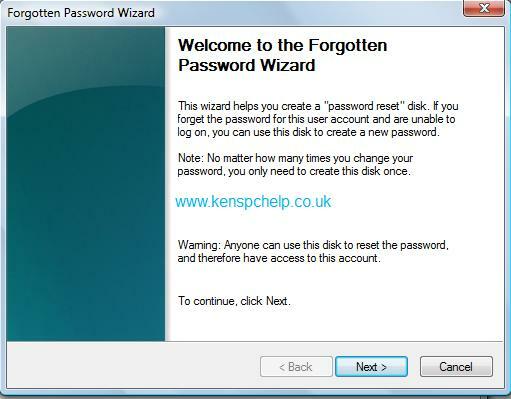 Now just click on “Next” again and the Password Reset Disk will be created. Don’t forget to label the Memory Stick and keep it in a safe place – and hope you never need it. 🙂 In the future we will be covering more articles about Creating a Password Reset Disk for Windows 8.